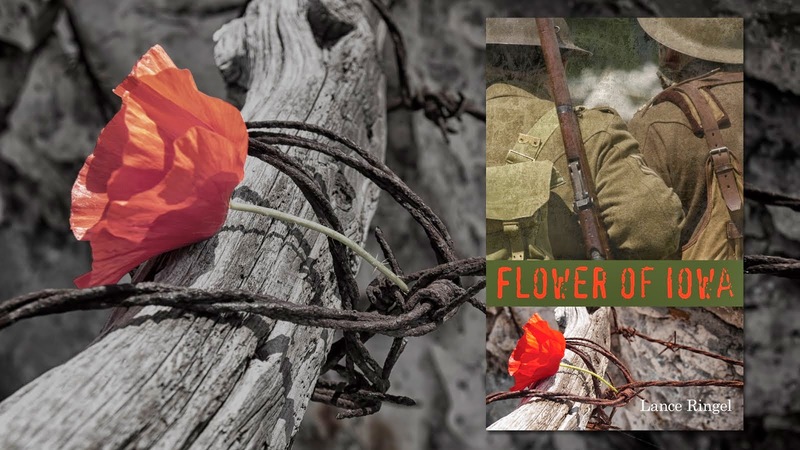 While in London, Tommy Flowers encounters an African-American soldier named Ralph Manton. This meeting represents a relatively unusual experience for Doughboys serving in Europe during World War I, because the U.S. Army did not allow black soldiers to fight side by side with white soldiers. 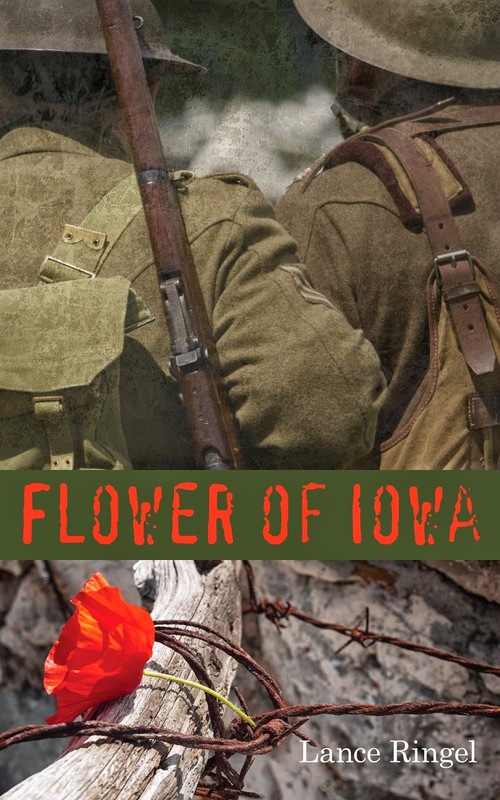 Ironically, many Americans of African heritage had volunteered to serve in the Armed Forces during the First World War because they believed doing so would help bring an end to discrimination at home in the U.S. Like Ralph in my novel, most found themselves put into support service jobs. But the French had no such racist compunctions. 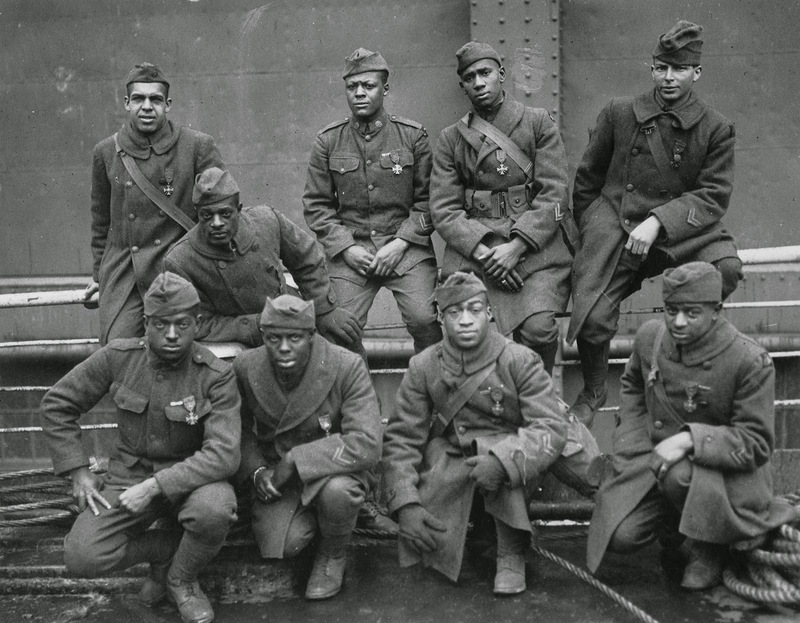 They were appalled by the attitude of the Yanks, so those African-Americans who were allowed to fight did so as part of the French Army – most famously the 369th Infantry Regiment (formerly the 15th New York National Guard Regiment), who were nicknamed the Harlem Hellfighters. Members of the Harlem Hellfighters distinguished themselves on the battlefield, earning many Croix de Guerre medals from France and, in one case, the Medal of Honor from the United States. For the first time in their lives, these men received equal treatment, from French military and civilians alike. Sadly, when these black Doughboys returned home, they found the situation worse than ever. In the “Red Summer” of 1919, race riots broke out in three dozen American cities, with returning African-American soldiers frequently the targets. Another World War would pass before the baneful policy of racial segregation in the U.S. Armed Forces was overturned. I recommend two good (if hard to find) books relating the experiences of black Americans in World War I: From Harlem to the Rhine: The Story of New York’s Colored Volunteers by Arthur W. Little, a white officer with the Harlem Hellfighters, and Two Colored Women with the American Expeditionary Forces by Addie W. Hunton and Kathryn M. Johnson. Little’s language can be cringe-worthy at times, but that just serves to underscore all the more his ever-growing admiration for the men in his charge. Hunton and Johnson speak from a perspective rarely acknowledged, much less heard: that of African-American women who served as part of civilian support services behind the lines in World War I France. For information about the history of Juneteenth and about this year's worldwide celebration, please click here.